Anyways - if you are looking for things to do this week, here are some suggestions. If you're a fan of Shakespeare and/or ballet - check out the Sacramento Ballet's performances of A Midsummer Night's Dream. One of my favorite Shakespeare plays (probably the easiest to read) I think a ballet version would be beautiful. Performances are the 21st thru the 24th. 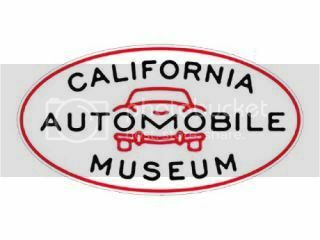 If you're into cars - or maybe your kids are - then head over to the Auto Museum. They are starting a exhibit of Microcars some of those cute old little cars. The exhibit will be around till April 21. If you go on Thursday you can do their after-hours Cars Under the Star event. I always think of the car museum as a hidden gem in Sacramento - its a interesting place to check out if you haven't before. I'm a big Wynton Marsalis fan and he and the Jazz at the Lincoln Center Orchestra will be at the Mondavi Center. The reviews are great - so if you're looking for a music event for the week - its Tuesday, Mar 19.